I have seen these made in quite a few places so I had to try it for myself. I love finding other uses for the punches and dies than what they are originally intended for. It is like getting TWO products for the price of ONE! I pulled out my Big Shot and die cut two bow tails and two of the small bows in the silver glimmer paper with the Gift Bow Bigz L Die. Adhere the two small bow tails together so it forms her body. Use your bone folder to curl the arms and glue the tabs together with glue dots. I first punched a 1 3/4" Circle from Whisper White cardstock and adhered the gold glitter to it (which is on sale this week), then punched the 1 1/4" Circle once with Whisper White cardstock, and then again with Pink Pirouette, keeping the 1 1/4" punch down and center, so there was a little gap between the halo and the face. I adhered the face to the halo, and then adhered that to the body. Punch one ½” circle of Pink Pirouette and cut it in half. Those are her hands and you can see my photo for placement. 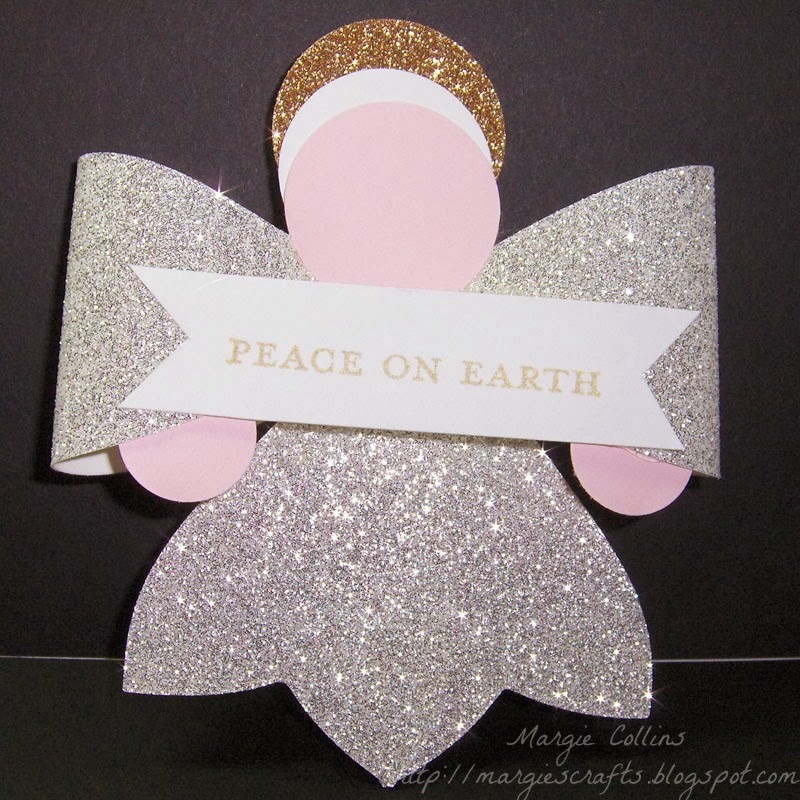 Stamp your greeting in the Gold Metallic Encore Pad, flag each end, and attach with Stampin Dimensionals and adhere to the angel right above her hands. This can make a great decoration for a gift, or punch a hole on top and make it an ornament. Don't forget to sign and date the back of your angel! Happy Stamping!